Like Mesa and the rest of Arizona, Gilbert experiences some of the hottest temps in the country – average highs through the summer are 104 to 106 degrees, and even in the winter it rarely dips below the high 60s here. That’s one of the biggest reasons that we take pride as being a Gilbert pool builder our clients can rely on – we know how important it is to get a great pool and escape from the Arizona heat. Why Invest In A Pool? Finding a good Gilbert pool builder is important, and your pool will quickly become one of the best investments you make – because it’s just that: an investment. Think about what having your own backyard pool can provide to you to see what we mean, and see why letting our expert Gilbert pool builder teams take care of you is so important. Pools can help increase your property value and improve the odds of reselling home. A good Gilbert pool builder can create a pool that dramatically improves your chances of increasing home liquidity. Your pool lets you avoid the need to head into a public place to beat the heat. Instead of public pools, you can enjoy your own private escape. Owning a pool helps give the family more time to spend together, and brings you closer during the year. Your pool can be the centerpiece of your backyard. From outdoor kitchens to huge decks to landscaped backyard paradises, a pool can be one of the key features in your home. In short, having a pool installed by a skilled Gilbert pool builder is the best way to help your home be all that it can be – and to make sure that your family enjoys every minute they spend there. Size – How big is your backyard, and how big should your pool be? Shape – Today’s Gilbert pool builders can create a pool of almost any shape for you. Features – Waterfalls, fountains, landscaped features, diving boards, and more can all be added to your pool. Even custom lighting can be used to help create a pool that matches your style perfectly. And those are only a few of the basics. Our design team can review each aspect of your pool to make sure you get a finished product that you’ll never want to leave. Having a good idea of what you’re looking for will help you bring your dream pool to life. We know that Arizona has plenty of pool builders to choose from. But over the years, we’ve built a reputation for excellence by providing the full range of services our customers expect – and deserve. If you’re looking for a Gilbert pool builder, our team is here and ready to help. Here’s a look at some of the main reasons that we’re the company to trust. Custom – We believe that each client is unique, and will have their own vision for what their pool is. Instead of cookie-cutter pools, we build a pool that is perfect for you, no matter what that may be. We also take the time to consult with you, review the site, and make sure your design is exactly what you’re looking for. Full Service – We take care of everything for you, from plumbing to concrete to securing permits for construction. When you trust in us, you can rest easy while we do all the work. Dedication – Once our team arrives on a job, we finish it. You aren’t left with an incomplete pool in your backyard for months at a time. 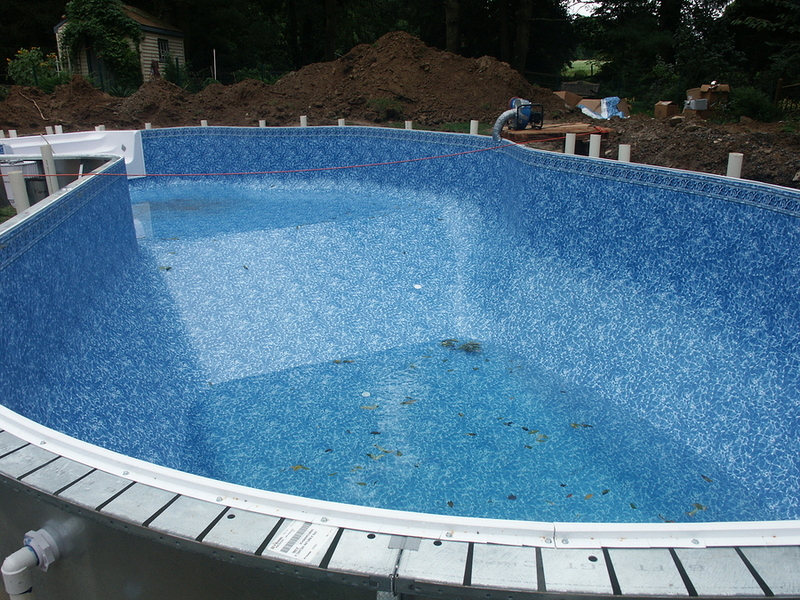 We believe in making sure that you get your pool finished as quickly as possible so you can start enjoying it. End Result – Once we’re done with your pool, we take the time to explain all the maintenance and use steps you’ll need to get the most from it. And we fully clean up the jobsite so that when we leave, you’re left with a picture-perfect pool, not a mess. Simply put, if it’s time to give your home the pool you’ve always wanted, we’re here and ready to help make it happen for you.